The 2016-17 season has been a rocky one for the Denver Nuggets. A season that has visited all ends of the spectrum now seems to be headed for a disappointing ending. Denver’s chances of making the playoffs this season are next to impossible. That said, the Nuggets need to utilize their current standing to continue to build and mold for the future of the organization. With just six games left on the schedule, Denver needs to run with their young guys. 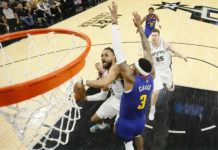 With the playoffs in the rearview mirror, there is little-to-no reason that players like Jameer Nelson, Will Barton and Danilo Gallinari should get over 25 minutes a game. The most valuable thing the Nuggets can do is allow their youth to get game minutes together. Let’s face it, Barton, Nelson and Gallinari are not going to be the driving points in the future of the franchise. Guys like Jamal Murray, Gary Harris and Nikola Jokic will be. The Nuggets abundance of talent has the franchise excited about the direction they are heading; however, that young talent has been overshadowed this season due to Denver’s roster complexion. 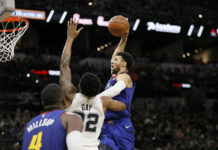 The uneven balance of young and established talent mixed with the team’s desire to win forced the Nuggets to underutilize the promising youth. Denver needs to let their youth run the show for the rest of the season to start the building blocks of team chemistry and play style for the future. 20-plus minutes of playing the veterans won’t really do the Nuggets any good at this point. If the team decides to run young, it will be rough but will allow the units to get exposure together, laying the foundation for what’s to come. At this point, it would be best for the Nuggets leave no stone unturned. The youth need their opportunities to grow and develop at the NBA level together. Six of the Nuggets 15 players are 22 years old or younger. 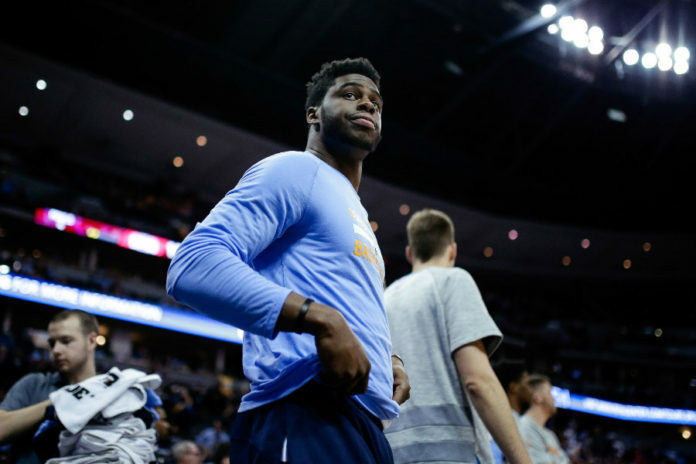 Murray, Jokic, Harris, Mudiay, Beasley and Hernangomez are all part of the core that makes the Nuggets one of the most intriguing teams in the league. That said, Murray, Jokic, and Harris are the only three that get consistent game minutes. Mudiay has become an outcast in the system, Hernangomez has really only played due to injury, and Beasley has split time between Denver and South Dakota in the NBA’s D-League. 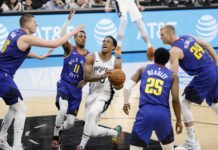 With seemingly nothing left to play for this season, the Nuggets need to get to work on shaping up the new wave of talent for the impending future.